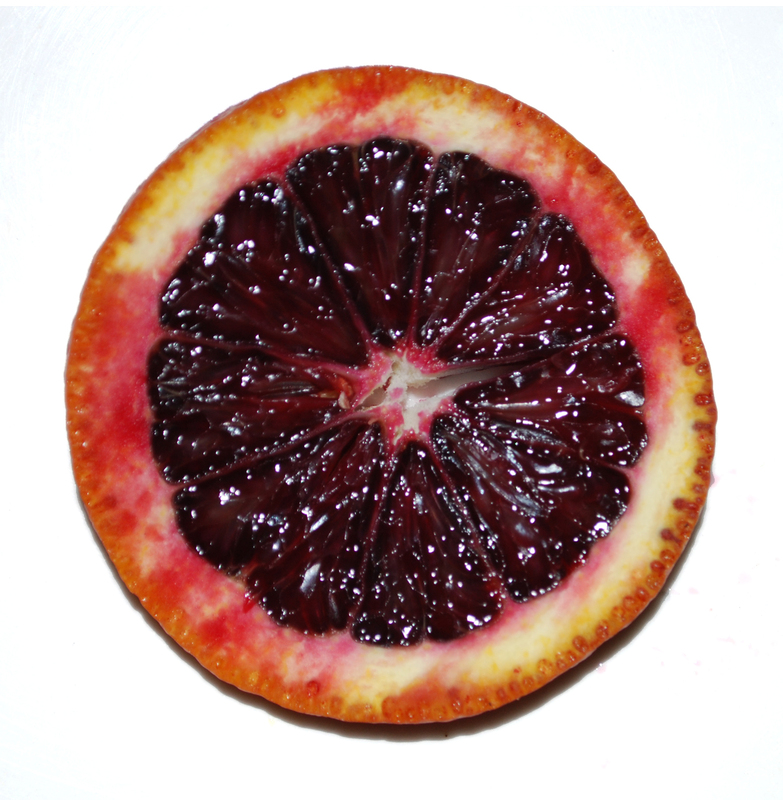 Blood oranges certainly brighten up the kitchen on a snowy winter day!! The deep red color of the flesh and juice is quite a shock if you’ve never seen it before. Sometimes the skin is blushed with the same color but not always. The flavor is delicious and the zest makes a very colorful ingredient in cooking (ask anyone who ordered our Roast Duck with Blood Orange Sauce for Valentine’s Day)! They’re great for juicing and make a tasty cocktail as well. There is no better orange to use for this classic Italian salad. 1. Trim the top of the fennel, reserve some of the fronds, and peel the outside of the bulb of any tough stringy parts. 4. Combine olive oil, vinegar and garlic with a pinch of salt in a bowl. Toss with the fennel, onion, orange and allow the flavors to blend. Serve as is or on a bed of arugula or watercress for a sensational salad dish.